واعظی, احسان, معمارپور, مهدی. (1396). ارزیابی کارایی و رتبه‌بندی شعب یک بانک خصوصی با استفاده از رویکرد تحلیل پوششی دومرحله‌ای و تکنیک رتبه‌بندی بردا. تصمیم گیری و تحقیق در عملیات, 2(2), 116-129. احسان واعظی; مهدی معمارپور. "ارزیابی کارایی و رتبه‌بندی شعب یک بانک خصوصی با استفاده از رویکرد تحلیل پوششی دومرحله‌ای و تکنیک رتبه‌بندی بردا". تصمیم گیری و تحقیق در عملیات, 2, 2, 1396, 116-129. واعظی, احسان, معمارپور, مهدی. (1396). 'ارزیابی کارایی و رتبه‌بندی شعب یک بانک خصوصی با استفاده از رویکرد تحلیل پوششی دومرحله‌ای و تکنیک رتبه‌بندی بردا', تصمیم گیری و تحقیق در عملیات, 2(2), pp. 116-129. واعظی, احسان, معمارپور, مهدی. ارزیابی کارایی و رتبه‌بندی شعب یک بانک خصوصی با استفاده از رویکرد تحلیل پوششی دومرحله‌ای و تکنیک رتبه‌بندی بردا. تصمیم گیری و تحقیق در عملیات, 1396; 2(2): 116-129. بانک‌ها ازجمله مراکز اقتصادی کشور به‌حساب می‌آیند که عملکرد آن‌ها درزمینه افزایش بهره‌وری و کارایی، موجب توسعه اقتصادی کشور می‌شود. بر این اساس، بررسی وضعیت عملکردی و کارا بودن یک بانک متاثر از عملکرد و کارایی شعب آن خواهد بود. هدف از این مقاله، بررسی کارایی و رتبه‌بندی 121 شعبه بانک شهر در استان تهران می‌باشد. برای این منظور ابتدا از تحلیل پوششی دومرحله‌ای به‌منظور به دست آوردن کارایی دقیق شعب با در نظر گرفتن 7 شاخص به‌عنوان متغیر ورودی، 4 شاخص به‌عنوان متغیر میانی و 1 شاخص به‌عنوان متغیر خروجی استفاده گردید که در مرحله اول 51 شعبه کارا شدند که این تعداد در مرحله دوم به 18 شعبه تقلیل یافتند. با مشخص شدن کارایی دقیق هر شعبه بعد از دو مرحله، جهت رتبه‌بندی شعبه‌ای که دارای کارایی یک بودند از روش کارایی متقاطع اندرسون-پیترسون و چارنز-کوپر استفاده شد. در مرحله آخر، با استفاده از تکنیک بردا نتایج حاصل از مدل‌های قبلی ترکیب‌شده و رتبه‌بندی نهایی شعب بانک انجام‌گرفته است. Banks are among the economic centers of the country, whose performance regarding promotion of productivity and efficiency, leads to economic development of the country. Accordingly, investigation of the status of the performance and efficiency of a bank will be influenced by the performance and efficiency of that bank’s branches. The aim of this study is to investigate the efficiency and ranking of 121 branches of a certain private bank in Tehran. For this purpose, first two-stage data envelope analysis has been used to obtain the efficiency of banks accurately using 7 indices as the input variable, 4 indices as the intermediate variable, and 1 index as the output variable. The results of the research indicated that in the first stage of the two-stage data envelope analysis, 51 branches were found to be efficient, which was reduced to 18 branches in the second stage. As the accurate efficiency of each branch was determined following two stages, for ranking the branches that had an efficiency of one, Sexton, Anderson-Peterson and Charnes-Cooper efficiency method was employed. In the last stage, using Borda technique, the results obtained from the previous models were combined and the final ranking of the bank’s branches was determined. Seiford, L. M., & Zhu, J. (1999). Profitability and marketability of the top 55 US commercial banks. Management science, 45(9), 1270-1288. Wang, Y. M., & Chin, K. S. (2010). Some alternative DEA models for two-stage process. Expert systems with applications, 37(12), 8799-8808. Kao, C., & Hwang, S. N. (2011). Decomposition of technical and scale efficiencies in two-stage production systems. European journal of operational research, 211(3), 515-519. Azadeh, A., Saberi, M., & Anvari, M. (2010). An integrated artificial neural network algorithm for performance assessment and optimization of decision making units. Expert systems with applications, 37(8), 5688-5697. Azadeh, A., Saberi, M., Moghaddam, R. T., & Javanmardi, L. (2011). An integrated data envelopment analysis–artificial neural network–rough set algorithm for assessment of personnel efficiency. Expert systems with applications, 38(3), 1364-1373. Sreekumar, S., & Mahapatra, S. S. (2011). Performance modeling of Indian business schools: a DEA-neural network approach. Benchmarking: An international journal, 18(2), 221-239. [Ülengin, F., Kabak, Ö., Önsel, S., Aktas, E., & Parker, B. R. (2011). The competitiveness of nations and implications for human development. Socio-Economic planning sciences, 45(1), 16-27. Wu, J., Liang, L., Yang, F., & Yan, H. (2009). Bargaining game model in the evaluation of decision making units. Expert systems with applications, 36(3), 4357-4362. Vaninsky, A. (2004). Combining data envelopment analysis with neural networks: Application to analysis of stock prices. Journal of information and optimization sciences, 25(3), 589-611. Mostafa, M. M. (2009). A probabilistic neural network approach for modelling and classifying efficiency of GCC banks. 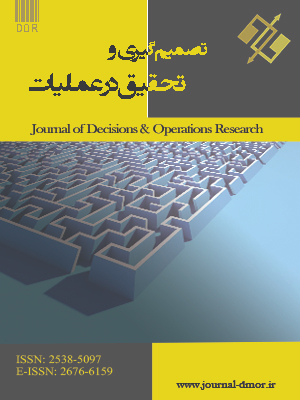 International journal of business performance management, 11(3), 236-258. Wu, D. D., Yang, Z., & Liang, L. (2006). Using DEA-neural network approach to evaluate branch efficiency of a large Canadian bank. Expert systems with applications, 31(1), 108-115. Liao, H., & Li, Z. (2008). Multiobjective design of equivalent accelerated life testing plans. International journal of reliability, quality and safety engineering, 15(06), 515-538. Samoilenko, S., & Osei-Bryson, K. M. (2010). Determining sources of relative inefficiency in heterogeneous samples: Methodology using Cluster Analysis, DEA and Neural Networks. European journal of operational research, 206(2), 479-487. Çelebi, D., & Bayraktar, D. (2008). An integrated neural network and data envelopment analysis for supplier evaluation under incomplete information. Expert systems with applications, 35(4), 1698-1710. Emrouznejad, A., & Shale, E. (2009). A combined neural network and DEA for measuring efficiency of large scale datasets. Computers & industrial engineering, 56(1), 249-254.